Rolled the dice on ordering a carbon wheel from Hong Kong. Turned out pretty nice, actually. The leather is a shade or two brighter than the Roja Red, but it's something I can live with. It is incredibly hard to choose a color match via photos with someone who doesn't speak english. Nice! You have a link to that store? I'm working with a factory that produces these to try get a near perfect match to roja red along with shift ***** as well. You have a link to that store? I don't. I just put out a request via alibaba, and a mfg responded. Everything else after that was through WhatsApp and Alibaba. 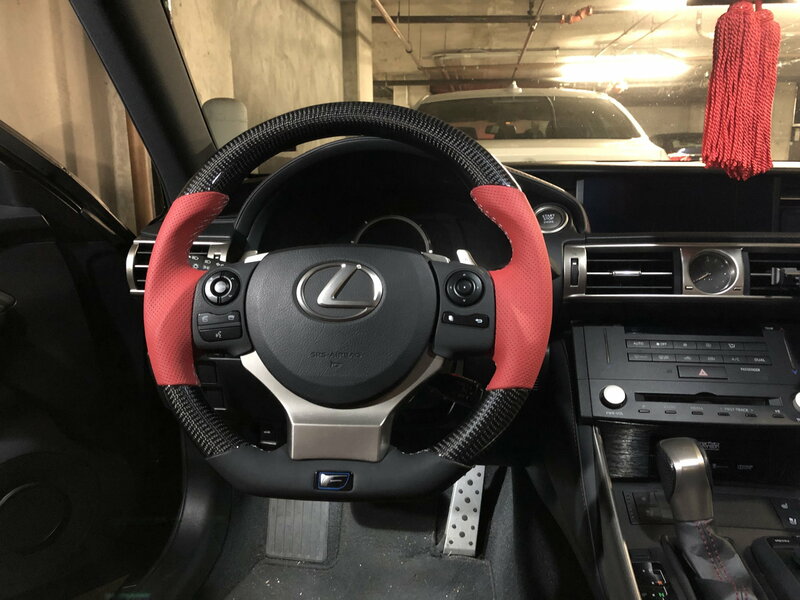 "LED Carbon Fiber Steering Wheel Compatible with Lexus NX RCF GSF OHC Motors" on alibaba looks interesting. Last edited by 350phi; 04-10-19 at 09:13 AM. Is it a cover? It fits over current wheel? Looks bad *** but how does it work? This place is selling it for about $380 shipped to USA. The advertised prices are rough estimate without shipping and additional costs for higher end materials and designs so $200 is the lowest if it's bare custom that they probably have in stock ready to ship out. Also there is a MOQ(minimum order quantity) that some require in order to purchase at a lower advertise price but you just need to work that out. So far I know putting out a RFQ on the shift *****, none of the manufactures bite so I have to just kind of put out a chinese RFQ instead of english to try target the other factories. Some factories rather no deal with foreigners since it's hard for them to converse with them and only deal with locals. Putting up some information for people once I organize and confirm everything with some of these manufactures. Hopefully this helps some people. I ended up getting it for $375 shipped/insured. Complete replacement of the steering wheel, not a cover. I could have gotten the price down if I ordered 5 or more. As you know, the RFQ process on alibaba requires some patience. This one took about 2 months from receiving a reply to the RFQ to shipping. Luckily, I happen to have some friends who read/write chinese, so that helped speed things along, but that doesn't help the color matching process. 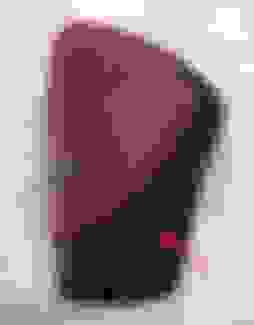 I find that the RFQ process is flawed, you just need to sit and wait but right now i'm working with some factories to see if they can closely match the color as on a color meter roja red is a mix of wine red/burgundy/pink from what I measured. I bought some burgundy leather to upholster the center silver trim pieces and it's almost spot on but I believe wine red would have been really close to roja red. As long as you send them sample pictures of the color you are looking for they should be able to find something very close to it. But your steering wheel isn't that bad, camera and lighting makes a difference in the color depths as well as the variations of monitors and their color depths so it's difficult to judge based on a special color. Good luck bro! Look for a post in a few months on shift ***** if you are interested. Trying to get them in at a decent price for those who are interested, not too sure how I will ship these out of Hawaii if I do get them since shipping is a wallet breaker too. I know not a lot of people are willing to spend 500+ for a steering wheel and $300+ on top of that for a shift **** that is custom. Forgot to mention that you must check with the factory to see if they are compatible for 2017+ IS years since the LDA and vibration motor are new and the cores are slightly different. Forgot to verify this after the excitement of finding a source and incredible prices along with customizations to every single detail. Once you ask this question, the number of sources are narrowed down. Hey guys. Not starting a group buy for anything but if you are interested in a carbon fiber shift **** like the one below. I can send you all the information to get it from the factory in China and the whole process. Price is about $200 and I believe about $85 for shipping but should be able to work the price down with them if you purchase other things as well.